✔ Our CS:GO Cheat is undetected since initial release in July 2016. Play on Stream like Scream! 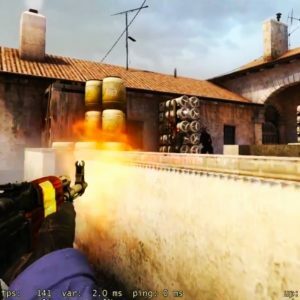 You are a CS:GO streamer and you are looking for a Counter Strike: Global Offensive cheat which UI (User Interface) can’t be accidently opened on stream because you afraid of getting exposed live on stream? Then you just found the right place. We provide UI less cheats which only offer Aimbot and Triggerbot, however it is still as customizable as our multihack. Once you run our cheat you can’t see anything besides a notification about malware scans which are 100% legit if they pop-up on your stream by accident and if you still don’t feel stealthy enough you can choose to disable the notifications completely. Configurations are customized through a settings file inside the cheat folder. Anywhere as long as it’s the steam version of CS:GO. Top cheat, the aimbot is acting very legit. The triggerbot does its job just right. Im happy with the product…. i am streaming and making videos of csgo while using this cheat now already for a very long time (idk exactly how long maybe half a year or longer) and had no issues with the legitimate movement so far. i have never been accused of hacking so far, neither on stream live or in my video comment sections. i would call it pretty much everything i have been looking for in a cheat. definitely competing and winning against other legit cheats such as hexui and pgcheats etc. my friends dont know im cheting its so nice bc its so looking legit! Yoo the streamer pack is a beast of a cheat specially after trust factor!!! Go buy it!!! good cheat but i need new update program!!! 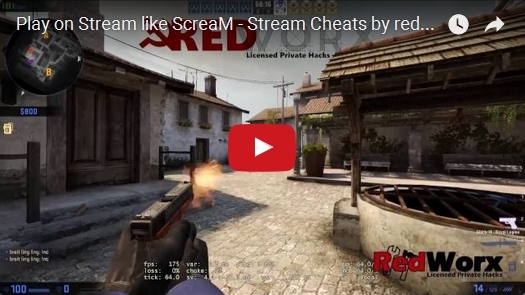 I bought the redworx csgo stream cheat and am using the hacks almost every game! It has not gotten detected! -This is the main reason I like this. I also have omniaim but it gets detected pretty often so I use this on my more important accuonts and omniaim on throwaway accuonts. Redworx Team Feedback: Thank you for your feedback. You can change the Body Part the aimbot is aiming at for individual weapons in the config file. 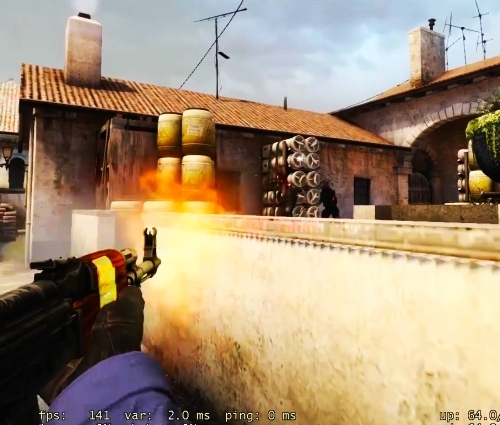 Changing Glow Color is possible in our CS:GO Private Cheat, in this particular cheat it is not possible for now. Overall the cheat is great to start with. Its cheap and has all basic options. I have used it for 6 months now and gotten 0 game/vac bans. I love this counter strike hack because when on a LAN event nobody can spot me using cheats because it doesnt have a ui and i can deactivate visuals entirely.